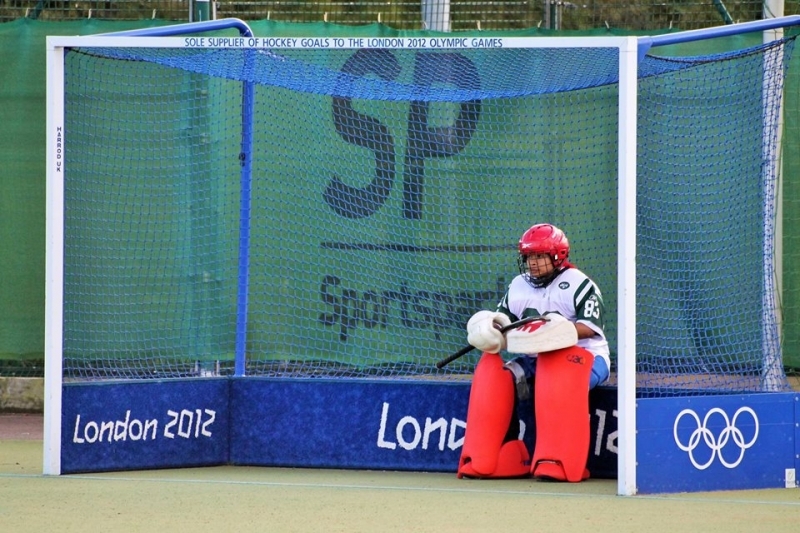 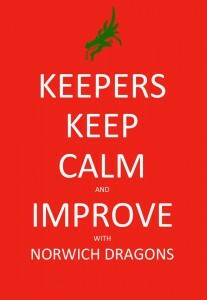 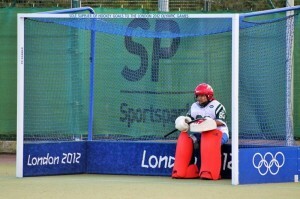 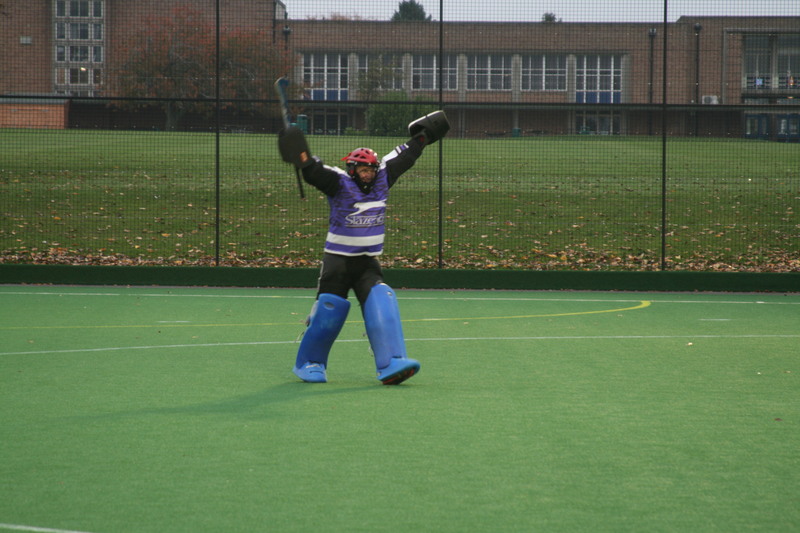 We love our Goalkeepers at Norwich Dragons Hockey Club, without them we would let lots more goals in! 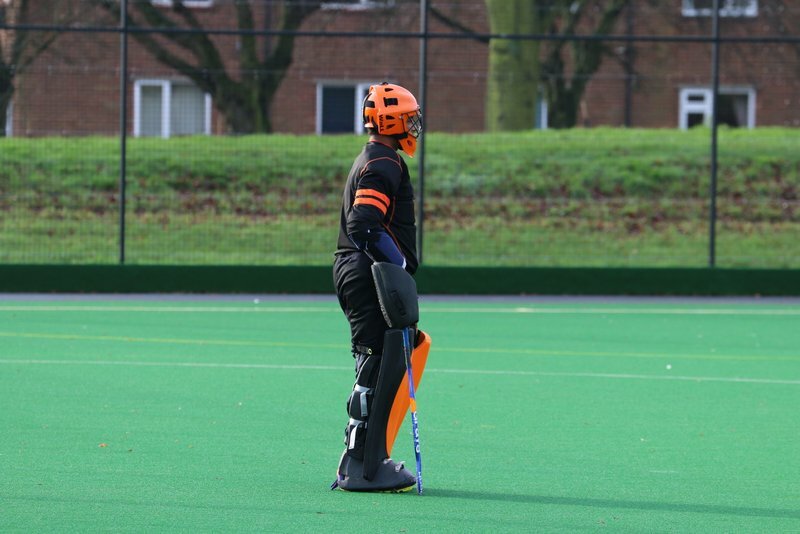 They say you have to be mad to put the pads on, but we think we have some very clever and sensible Men and Ladies that put themselves in the firing line each week. 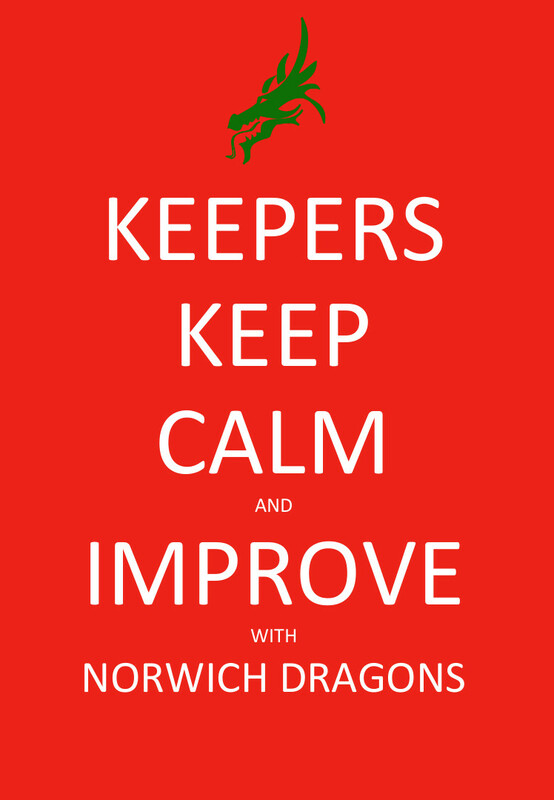 To show our appreciation for them, we make sure that normal training sessions focus on refining their core keeping skills, however recognising that is never enough for the padded ones, we also run specialist keeper sessions to work on the more advanced skills and drills to make them better keepers. 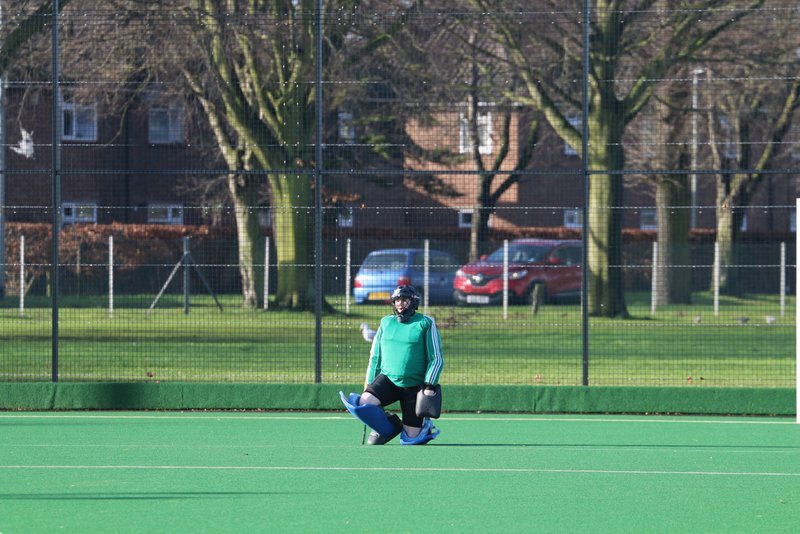 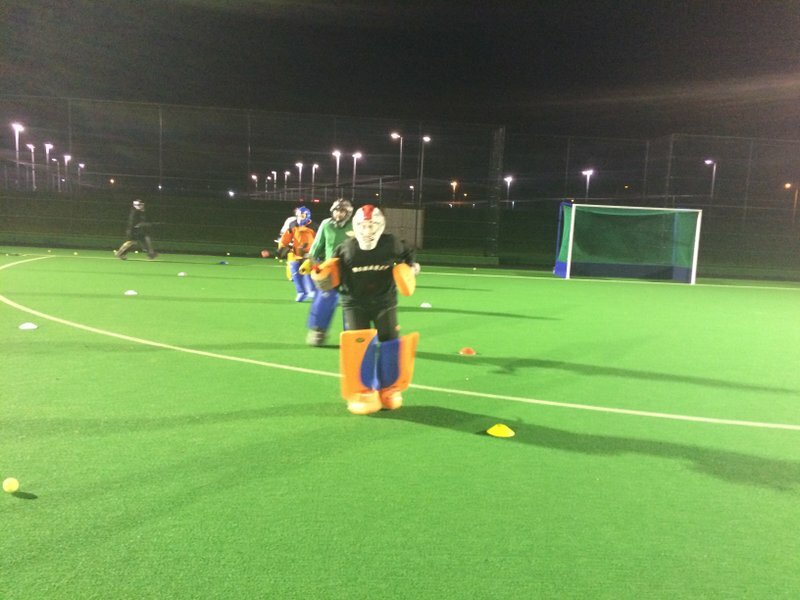 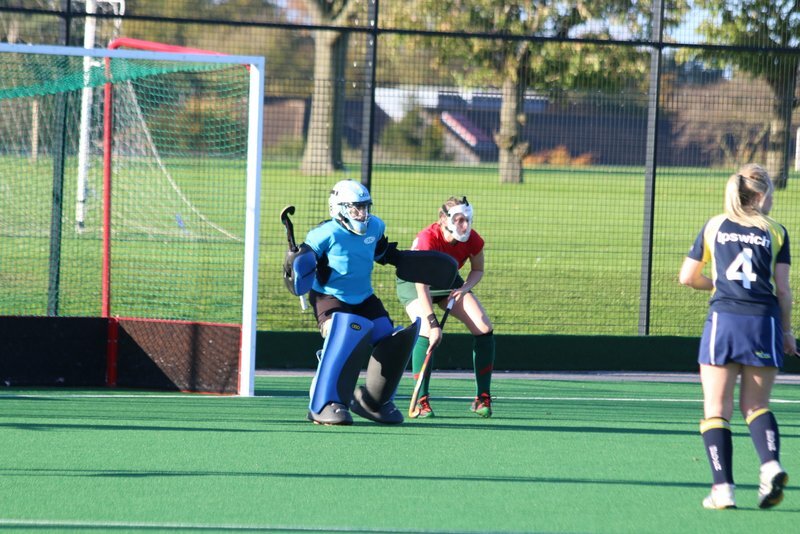 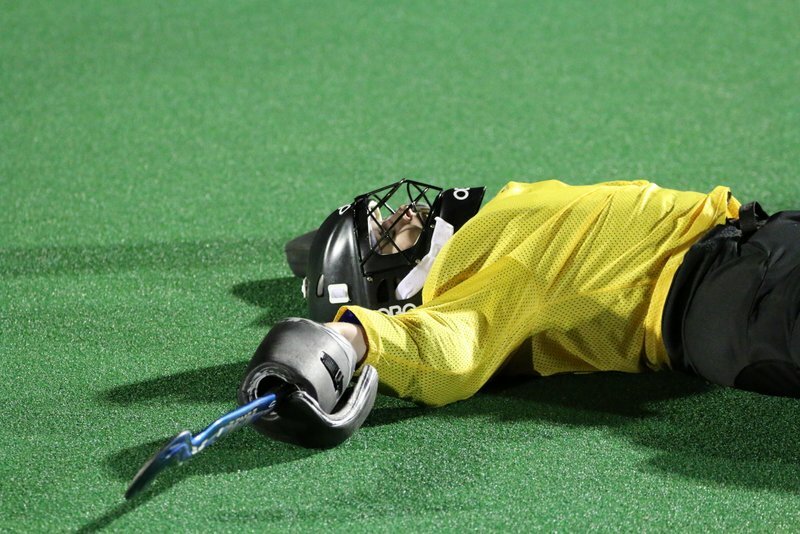 Many of our coaches have the England Hockey Goalkeeper Bronze Award in coaching to ensure they are given the best possible coaching, we also have some of the best keepers in Norfolk helping us with our keeper sessions. 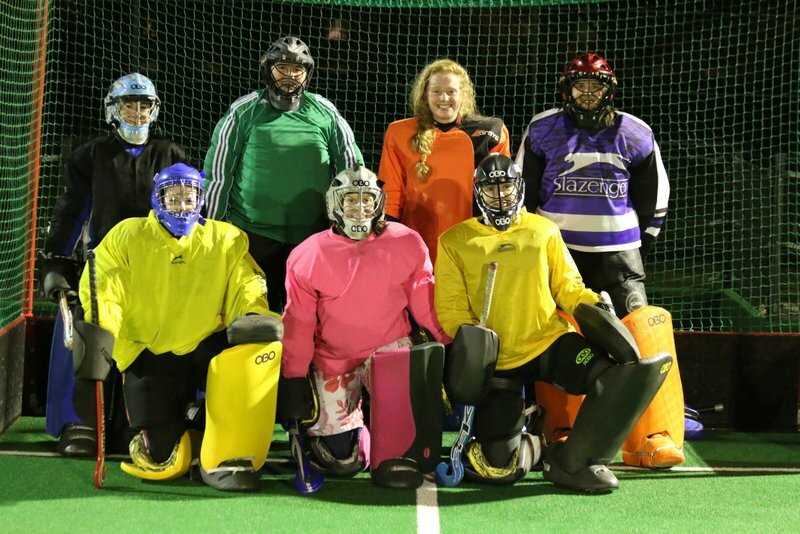 It was great to see our Magnificent 7 Ladies Keepers at the recent Specialist Keeper Session, a few photos here. 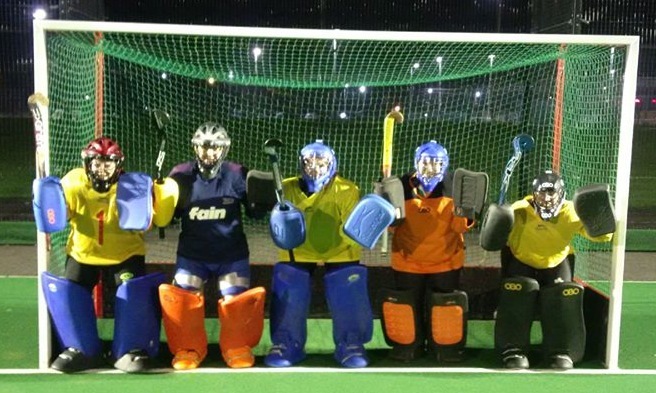 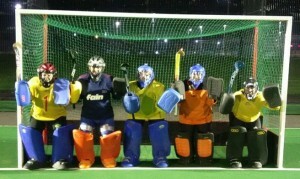 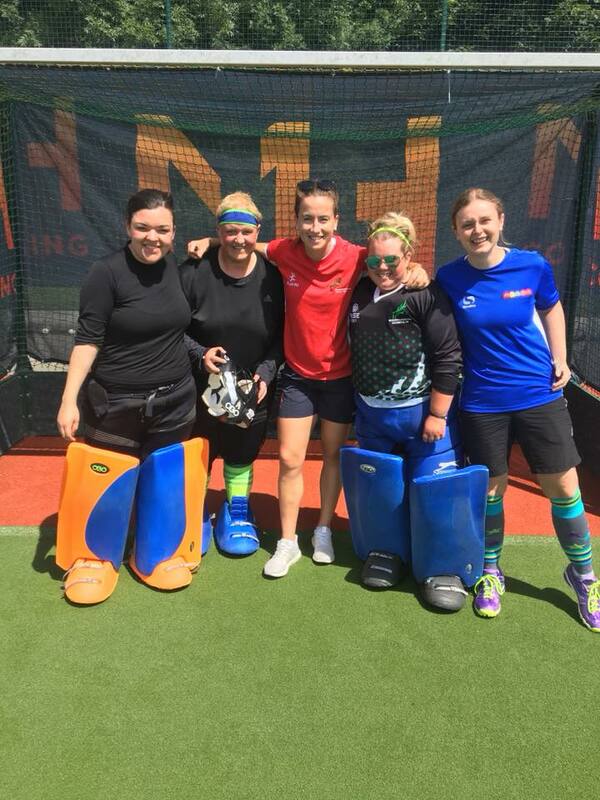 A few of our Ladies Dragons taking advantage of a Keeper Coaching Session with Maddie Hinch!! We even have some Ladies outfield players that didn’t want to miss out on the fun, so padded up to Give Keeping a Go!! 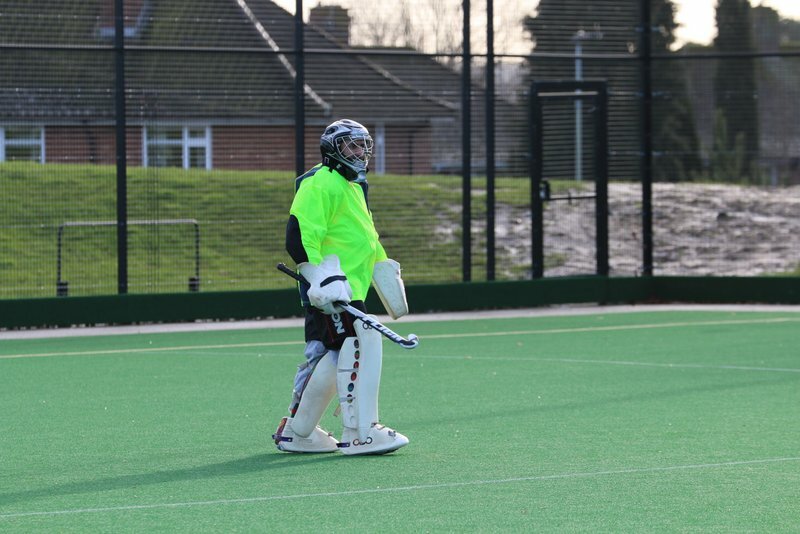 On the subject of outfield players going in goal, special mention to Mike Banham who, whilst being an outfield player, has now worn the kit for every one of the 6 Norwich Union/Norwich Dragons Men’s teams over the decades that he has played the game. 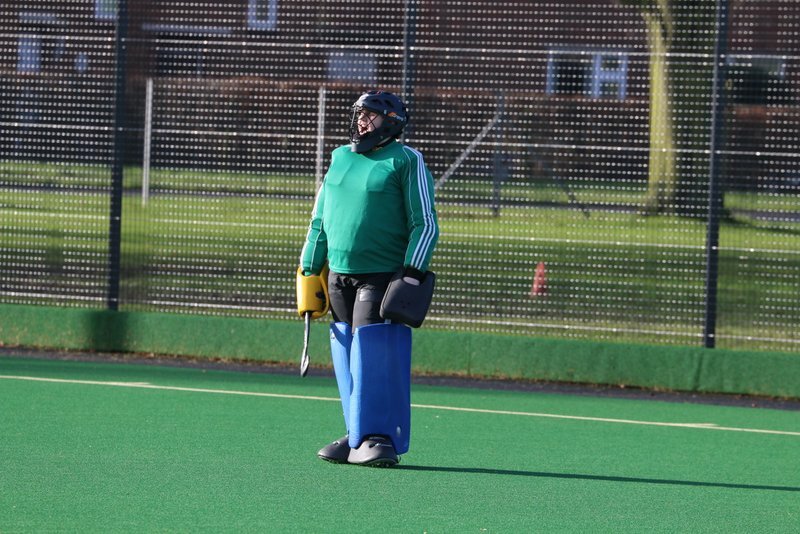 Sam a top bloke for putting the pads on to help out the Men’s 2s in 2014-15, particularly as his brother was playing for the opposition! 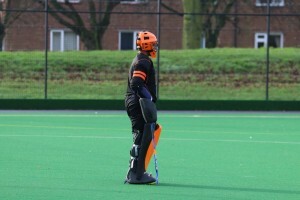 Even the President had a flashback to his 1982 Grammar School days by putting the pads on for the Men’s 5s in the 2013-14 season. 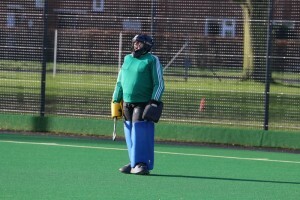 Although he recalls that back in 1982 games were on grass and the only keeper protection were cricket pads, leather kickers and some leather gloves. 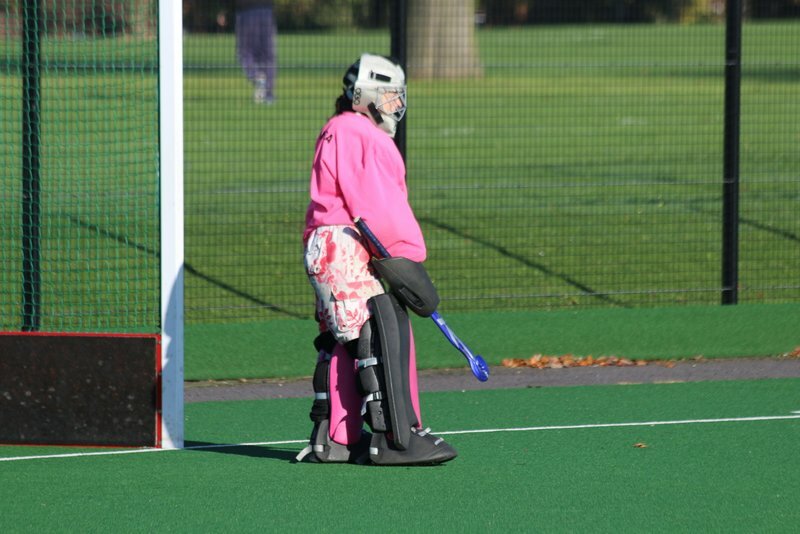 You did have to be mad to be a keeper in those days! 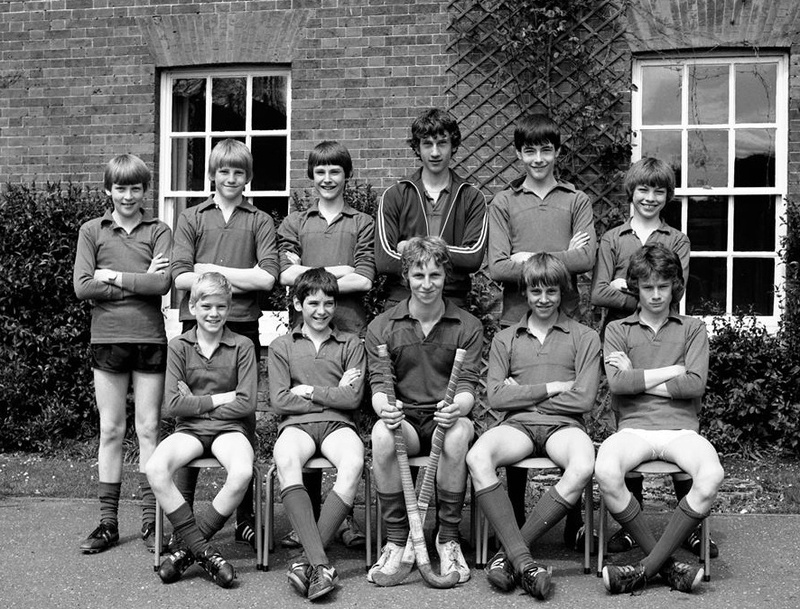 You won’t recognise him, but the guy with the mop of hair in the tracksuit top is Mike!! 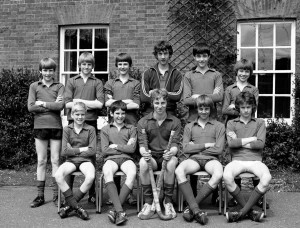 Just as his present day hockey career was over in one game, Mike only recalls one or two games of school hockey, but then perhaps his memory has gone down the plughole, like his hair obviously has!!! 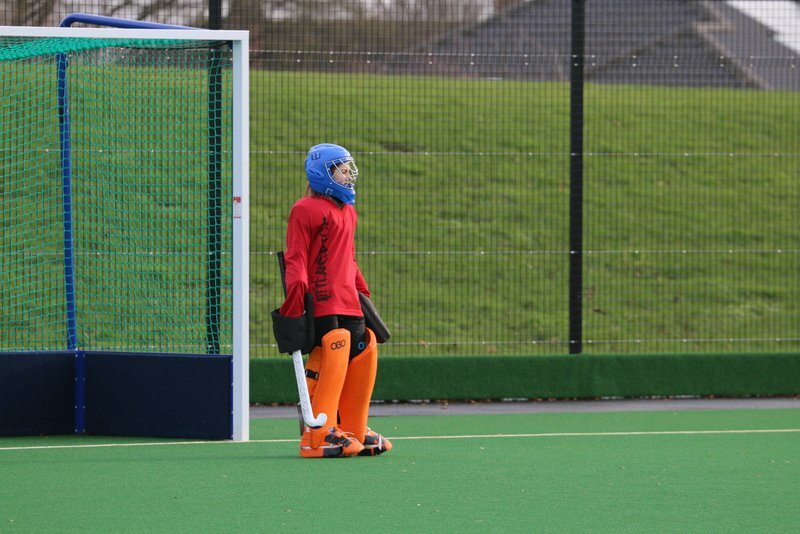 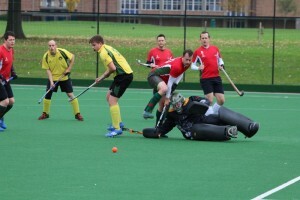 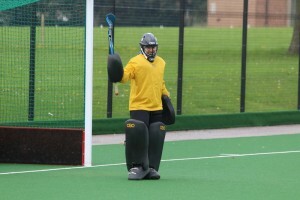 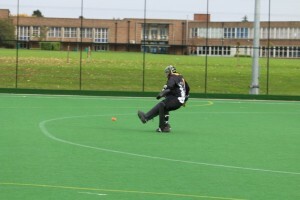 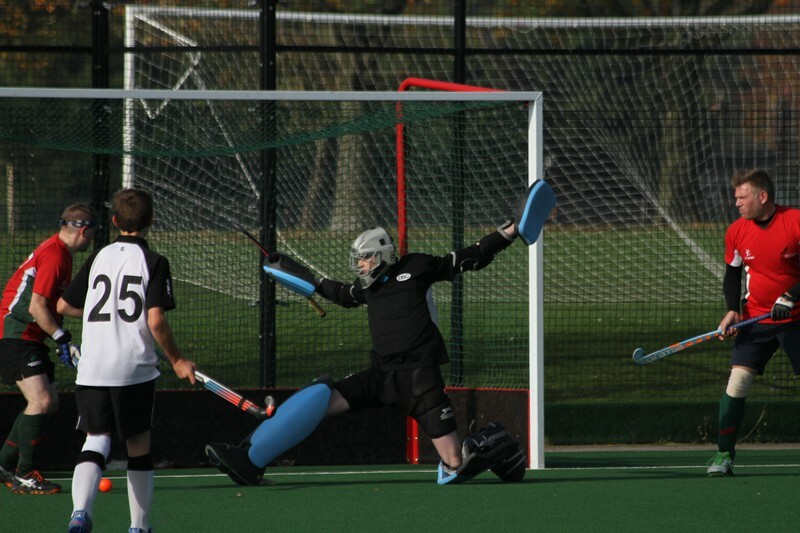 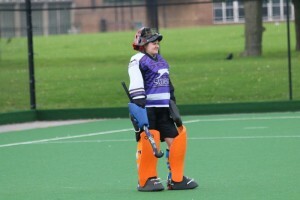 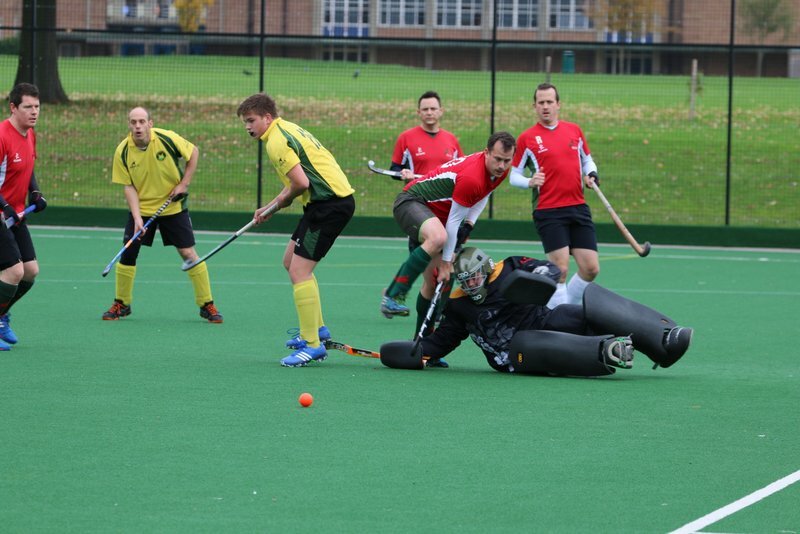 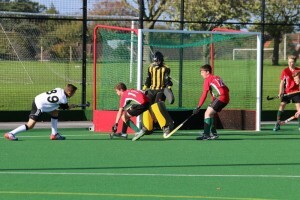 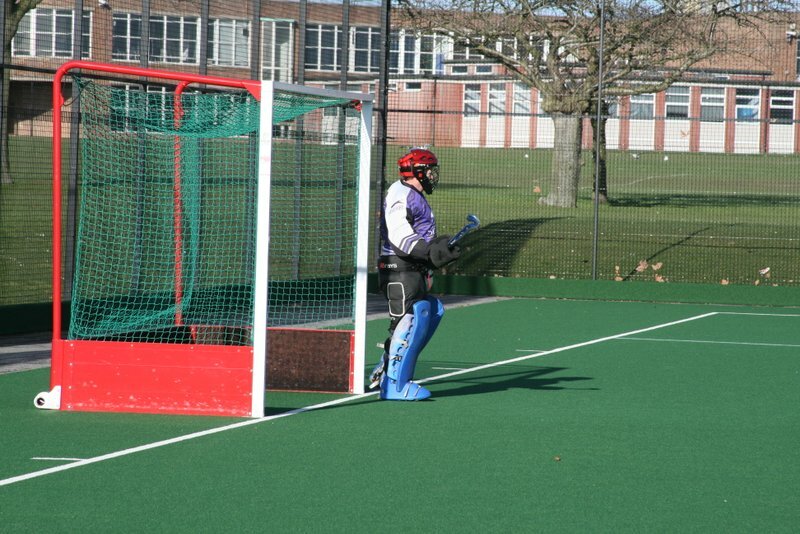 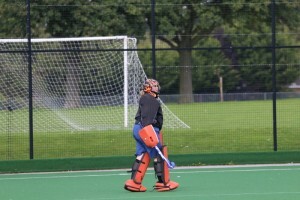 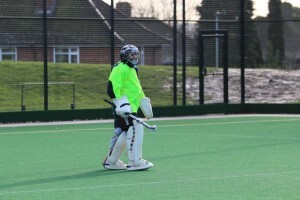 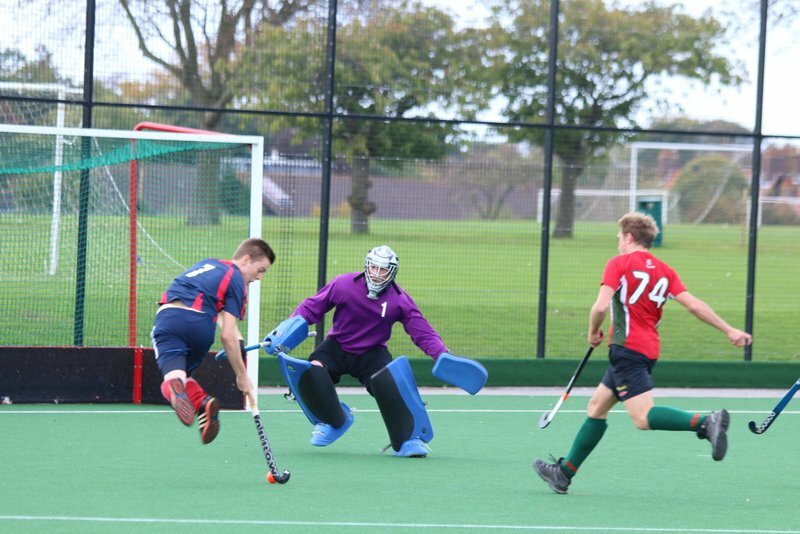 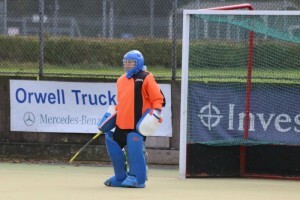 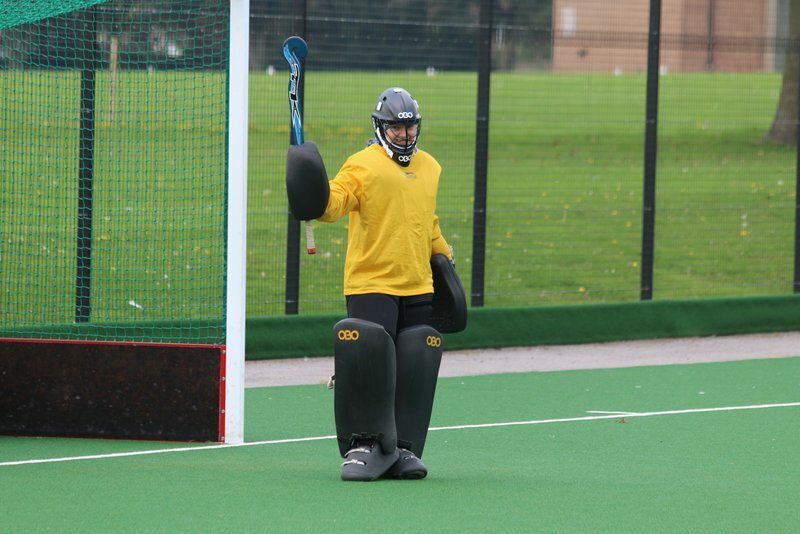 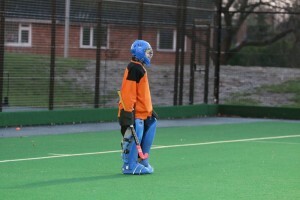 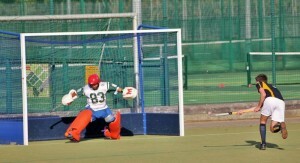 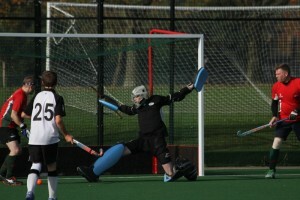 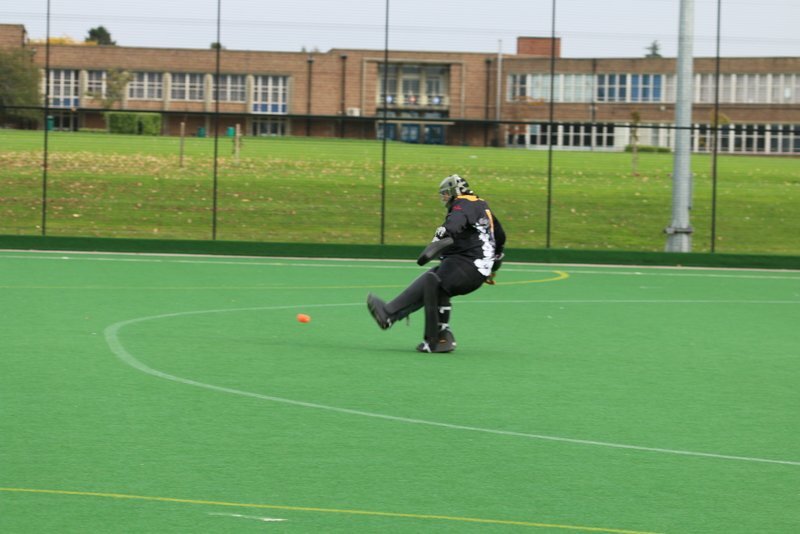 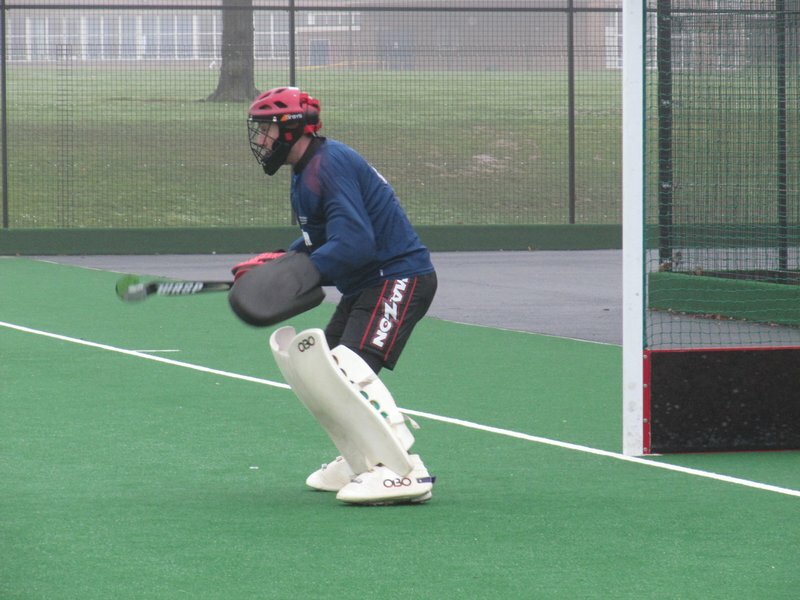 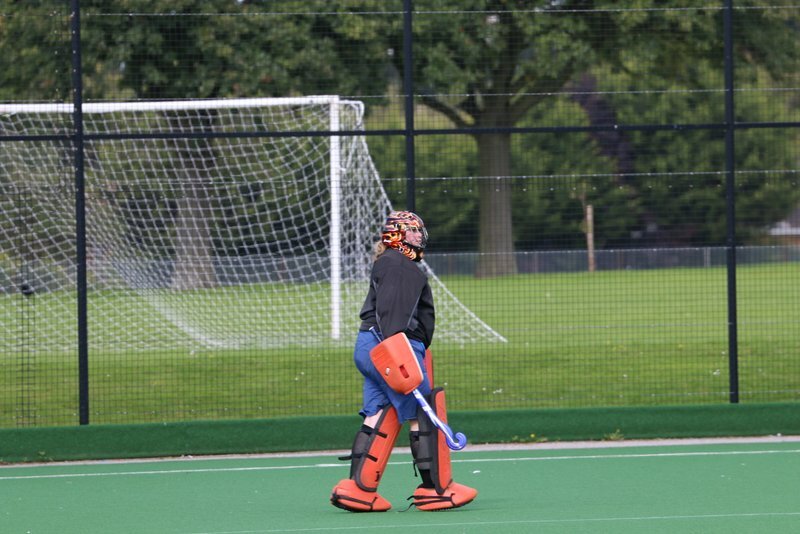 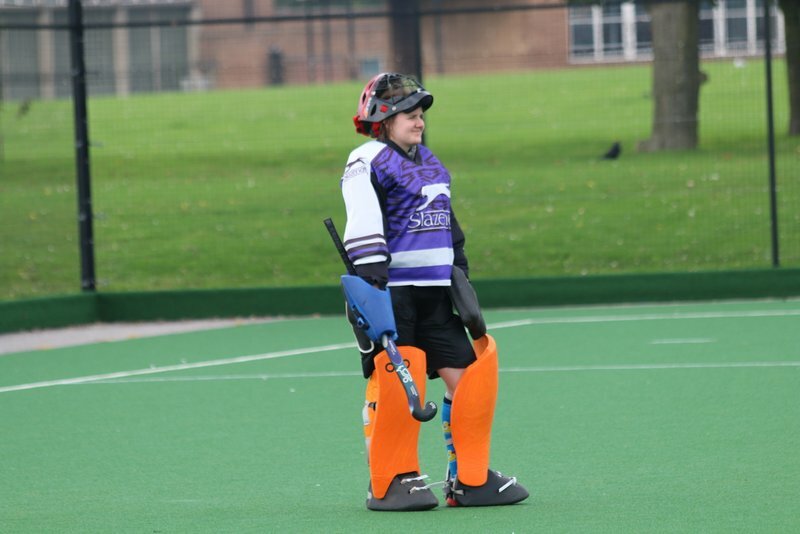 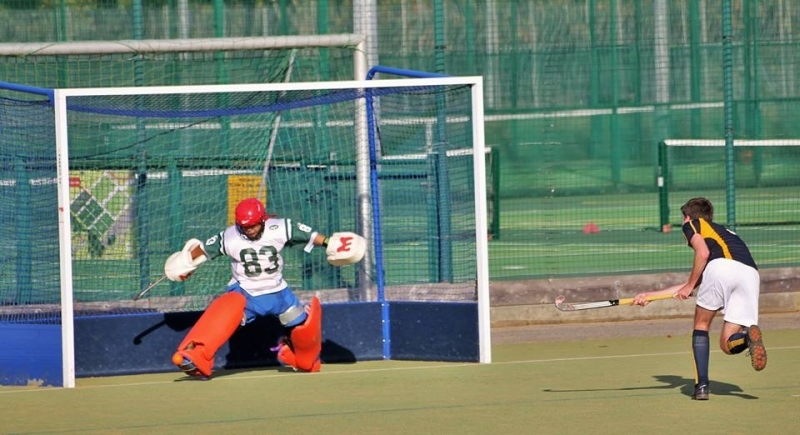 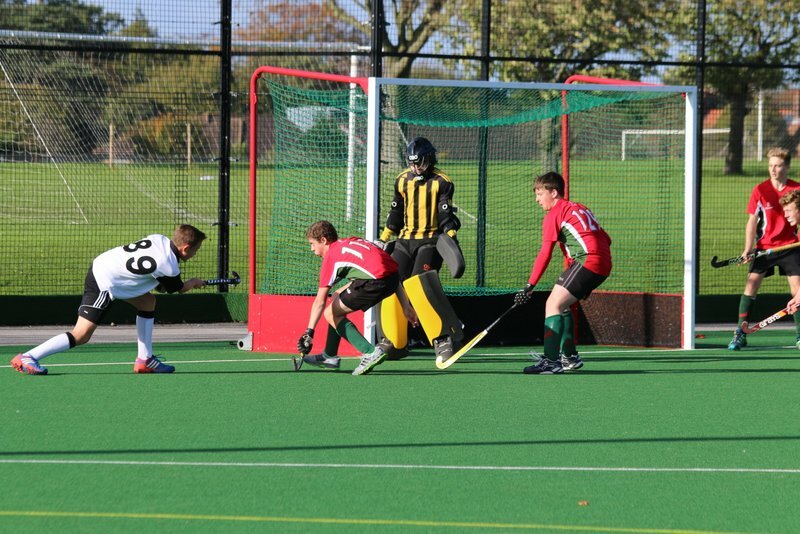 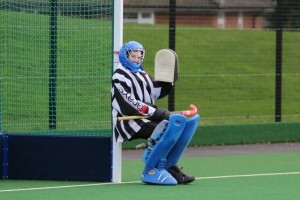 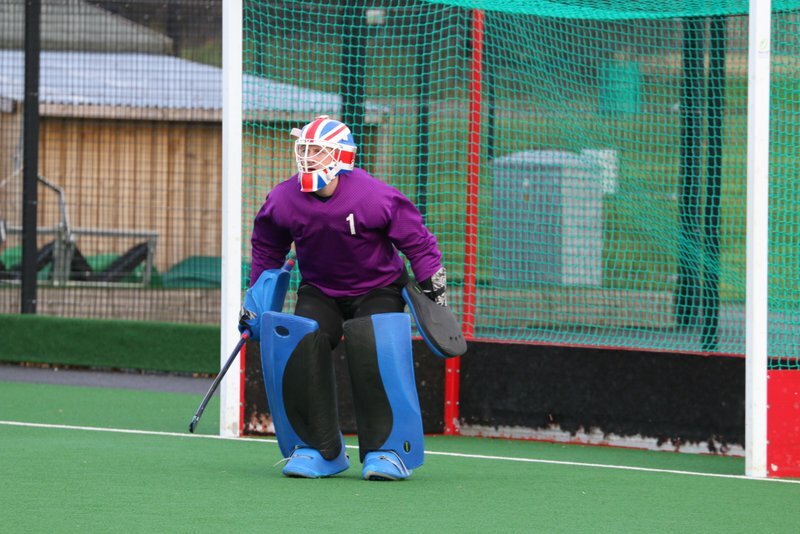 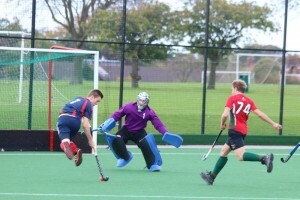 Robbie Men’s 1s keeper in action..
Young Declan keeping Magpies at bay…. 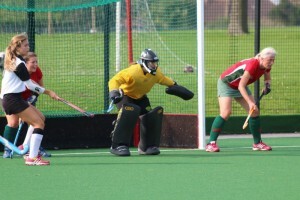 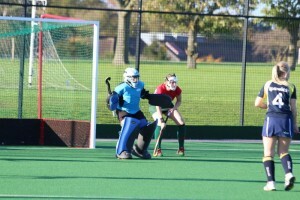 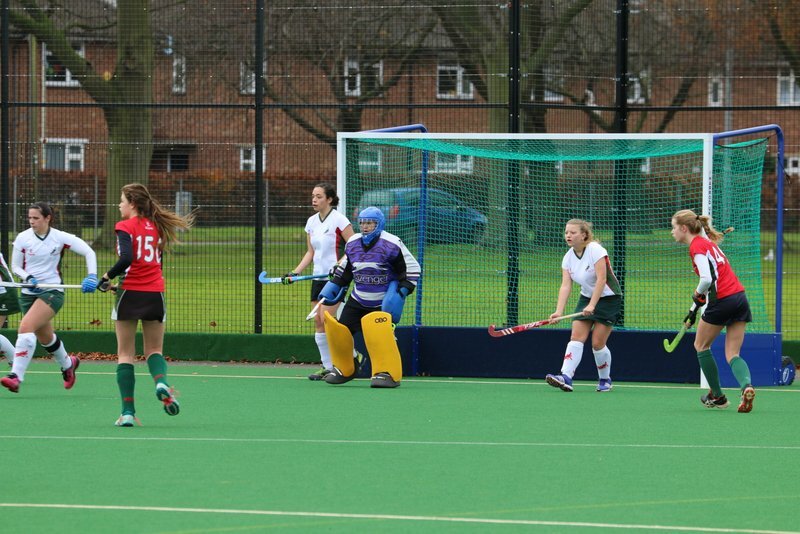 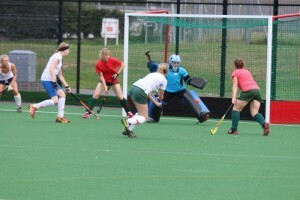 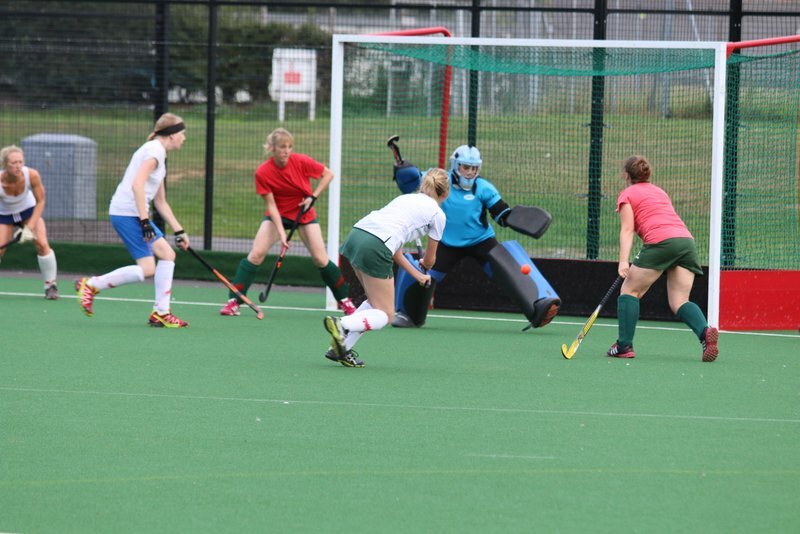 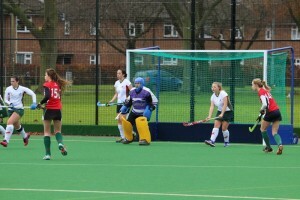 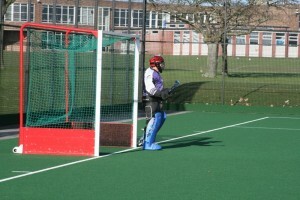 Siobhan in action during a club game in the Summer and against Ipswich. Freddie enjoys a quieter moment during the game and then on her toes, always with a smile…. 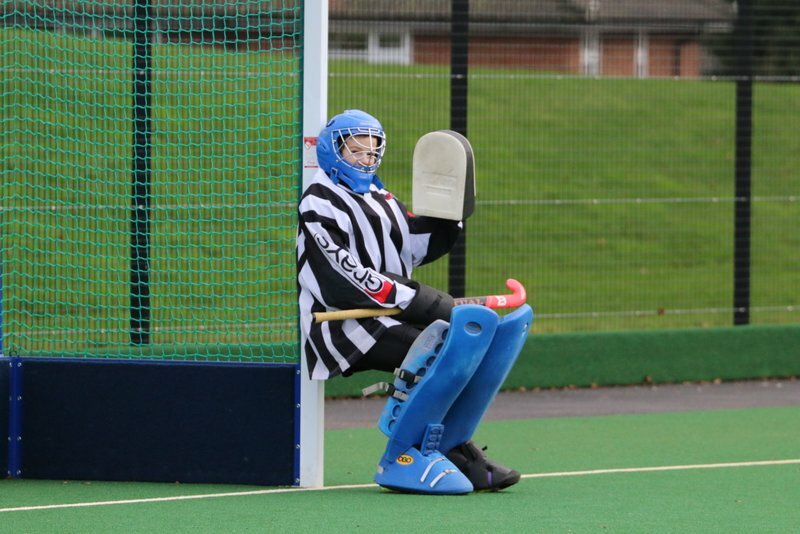 Alice giving her vocal support to the team and crouched ready to spring into action…. 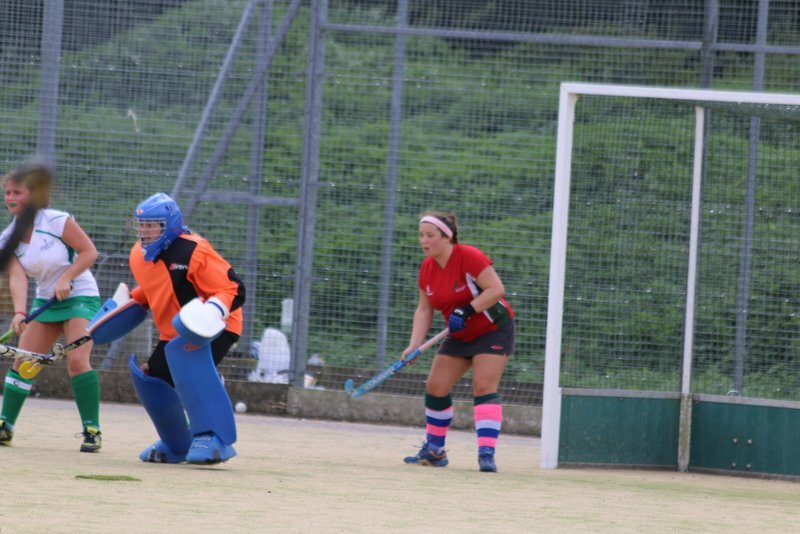 Kat “the Cat” Speirs doing a fantastic job helping out…..